During the heat of summer, fishing hours are normally maximized in the early mornings or late afternoons. The heat of the day takes its toll quickly on those unable to adjust or tough out the mid-day heat. The fish don't normally cooperate either. The fish search for deeper, cooler areas out of the direct sunlight, and seem less likely to bite. 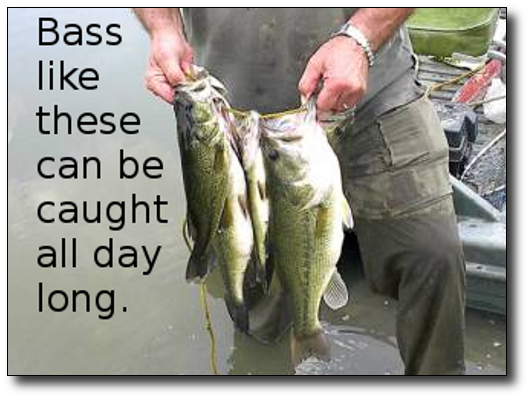 Now, if a fisherman could find a shady area with a deep channel nearby, it might be worth fishing longer. That is, unless you are fishing at our famous strip pits! The bass seem to bite all day long. 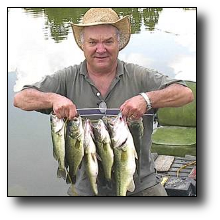 Bass weighing up to five pounds have been caught by me and my fishing partners in mid-day on numerous occasions. Many of these fish were found in two to three feet of water. They were in thick vegetation, along the shorelines out of direct sunlight. Yet the fact remains, if fishermen can tough out the heat or find shade and bait fish during the hottest part of the day, the pits can be very rewarding. 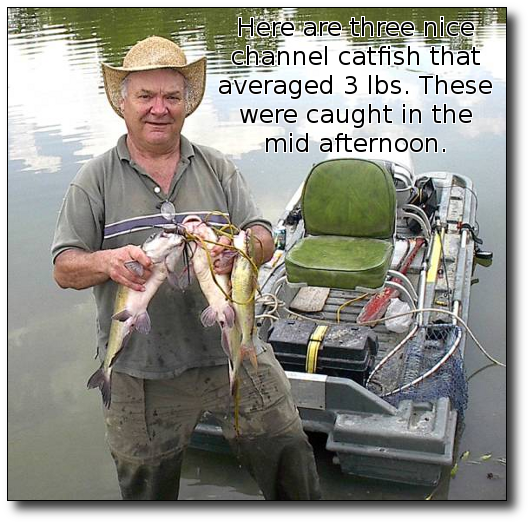 Catfish, crappie, and bluegill are also active throughout the day. Safety is foremost...making sure you are healthy enough to be out in the heat of the day. Take plenty of water, food and light clothes. a hat and bug spray with sun screen is a must, and for some, even an umbrella to fight off those nasty sun rays. Know your physical limit. I must admit, some days the heat drives me away when I'm still catching fish. 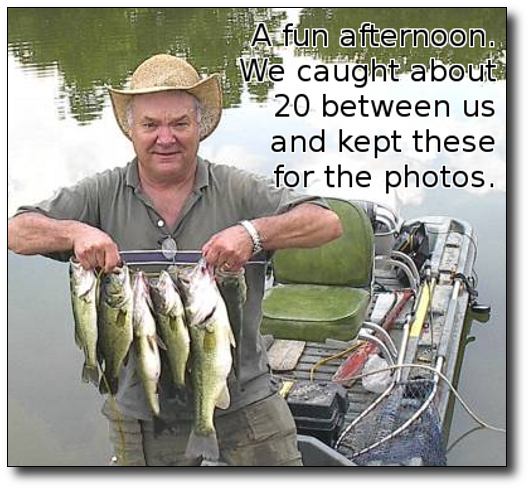 All bass were released after the photos.